Sunday nights are pasta nights for me, even though I’ve become wheat intolerant there are so many different gluten-free choices available, so don’t let that stop you. This is a bit of an extravagant pasta, if I do say so myself, but it never hurt anyone eating a delicious meal. You can always leave out the bacon and only use one type of mushroom, if you’re on a budget. Boil the kettle and get all your ingredients out. Place a saucepan on high heat, add a splash of olive oil the diced onions, crushed garlic and xylitol and fry for 7 minutes. Then add the tomato paste and fry for 30 seconds, pour in the stock and boil until slightly reduced. Add the tinned tomatoes, bay leaf and half of the fresh basil, some salt and pepper. Cover and let simmer for 40 minutes. Stirring occasionally. When the sauce has 20 minutes left to cook, slice the shiitake mushrooms into bite sized chunks. 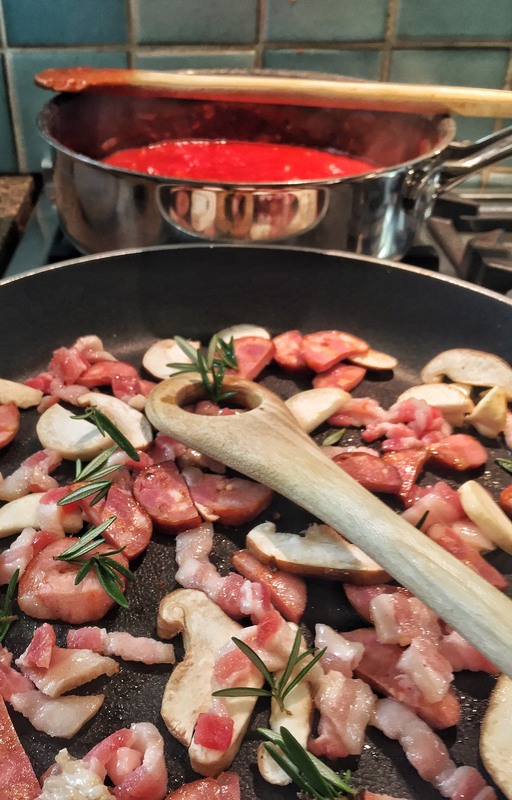 Place a frying pan on high heat and fry the mushrooms (leave the small once for last), sliced chorizo, bacon and rosemary until slightly crispy. Then add the baby mushrooms and fry. Pour boiling water and add a lot of salt into a large pot and cook the pasta according to packet instructions. Keep a mug of the pasta water in case the pasta starts sticking once drained. To assemble, spoon the sauce over the pasta top with crispy meat and mushrooms, some fresh basil and shaved parmesan. 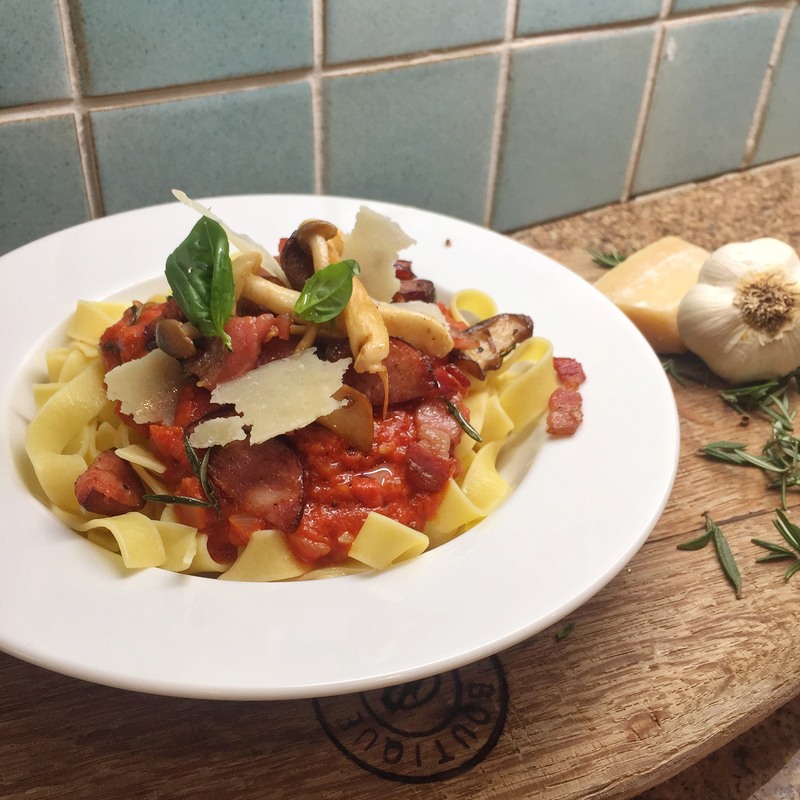 This entry was posted in Meat dishes, Recipes and tagged arabiata, Bacon, bay leaves, chorizo, exotic, garlic, Italian cooking, mushrooms, onions, pasta, rosemary, tinned tomatoes, treat. Bookmark the permalink. 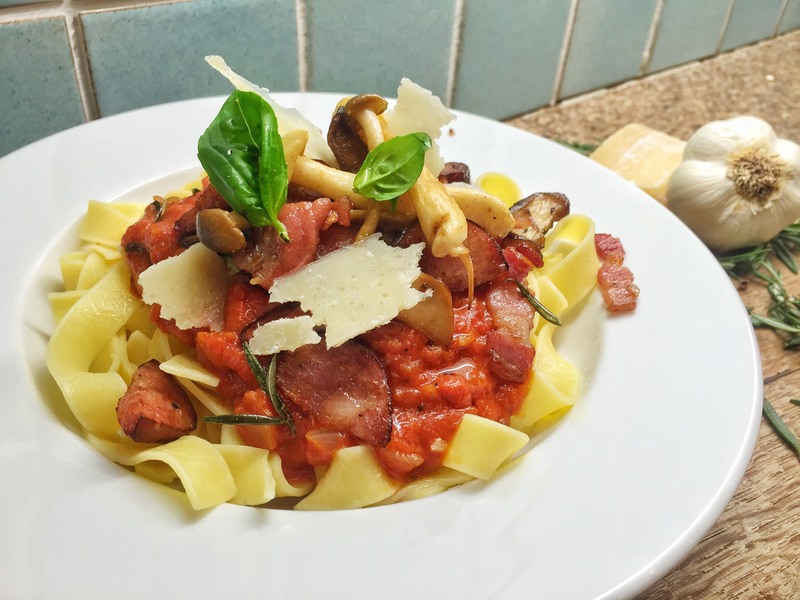 I will make this pasta tonight – sounds delicious – thank you for the inspiration! I love pasta dishes with mushrooms! This will most definitely be a dish to look forward to! In reference to frying the mushrooms I had one question. Natalie as You said you cook the shiitake mushrooms until slightly crispy and then add the baby mushrooms after also adding all the pork ingredients. 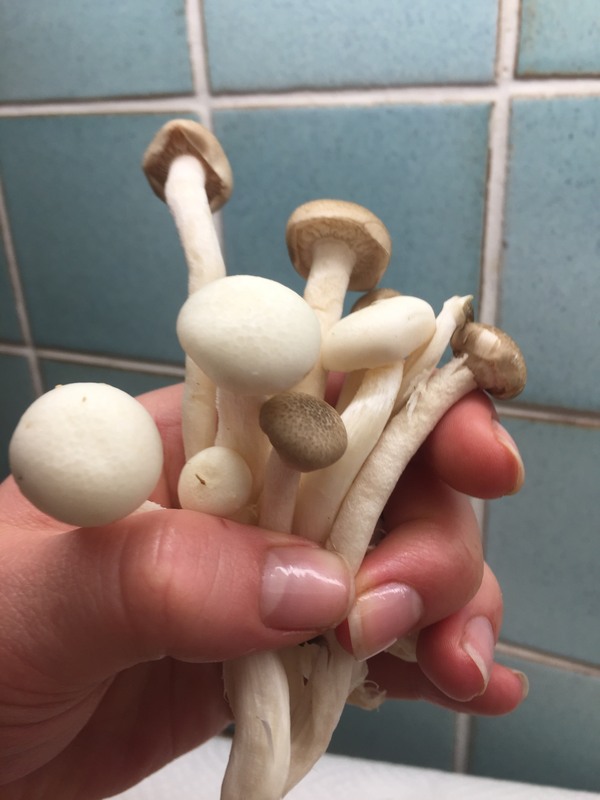 How cooked should I allow the baby mushrooms to get before removing them from the heat? Thank you for all your advice and this lovely recipe!